There are different treatments to solve different problems. One of the crucial and important treatments, which we will be discussing in this page, is Hysteroscopy. Hysteroscopy Surgery is a procedure where a small-diameter device is inserted into uterus to detect any issue and to unfold it. This device is known as hysteroscope, has a light and a camera on the end to see inside the uterus. This treatment is used to diagnose any complication happening in uterus or it gets to the bottom of any issue in uterus or a womb. This is the safe and risk-free procedure with least complication rarely. This surgery is benefitted to remove any non cancerous growths found in the uterus. There are various facts that have a role in detecting whether this surgery is appropriate for the patient or not, Hysteroscopy cannot be carried out on someone who is pregnant. Diagnostic Hysteroscopy – This is used to diagnose the problems of uterus, also used to confirm the results of some other tests such as hysterosalpingography (HSG).In Diagnostic hysteroscopy; the gynaecologist inserts a slender tube with a fitted camera into the abdomen for viewing the uterine cavity and thus detecting the problem. To diagnose the matter of fibroids, polyps and any non cancerous growth in the womb. Operative hysteroscopy- Operative hysteroscopy is used to unscramble the issue of uterus. It is used to correct abnormal condition that has been detected in the process of diagnostic hysteroscopy. This surgery is helpful to remove the adhesions, polyps any cysts if formed, and to take the biopsy of tissue for investigations. The doctor will 1st unfold the cervix with a tool referred to as a speculum. This can be additionally like what happens throughout a medical specialty examination. The doctor can then insert the endoscopy device in through your duct gap. They’ll continue moving it through the cervix so into the womb. A liquid or dioxide gas can then be gently sent into your womb through the device to clear the surface and to assist widen it slightly. The light and camera on the top of the hysteroscope enable the doctor to check the womb and fallopian tubes. This permits them to diagnose any problems or to perform any surgical procedures necessary. If the procedure is getting used for surgery, the surgical devices will be place through the hysteroscope tube to perform the surgery. The procedure of hysteroscopy isn’t unpleasant nor is it uncomfortable. However, you will expertise some cramping throughout the procedure. Your doctor might order some form of sedative to you after this process. This surgery is done either in your doctor’s workplace or at a hospital. The procedure itself will take any place from simply five minutes to half-hour. Select IVF is the clinic where hysteroscopy surgery treatment is done with experienced and veteran hands, without any complications. There can be possibly small complication after this procedure, may be excessive bleeding after this surgery, fever, chills, infection etc. If the patient starts to experience heavy bleeding after this surgery then that patient have to contact immediately her doctor, but this is a rare case. 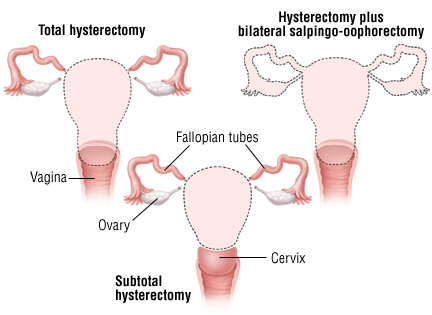 Cost of Hysteroscopy is very reasonable and moderately priced. The price varies according to different type of procedure; anyways the approx cost of Hysteroscopy is INR 30k-35k, which is under budget of those who want to do this surgery. Hysteroscopy surgery treatment follows straightforward steps and the patient is able to go home shortly after the hysteroscopy surgery.